Make a statement in this stunning Marchesa Notte™ cocktail dress. Cold-shoulder dress featuring gorgeous floral embroidery, and insets of open stitching throughout. Slit detail at back hem. Lining: 97% polyamide, 3% elastane. 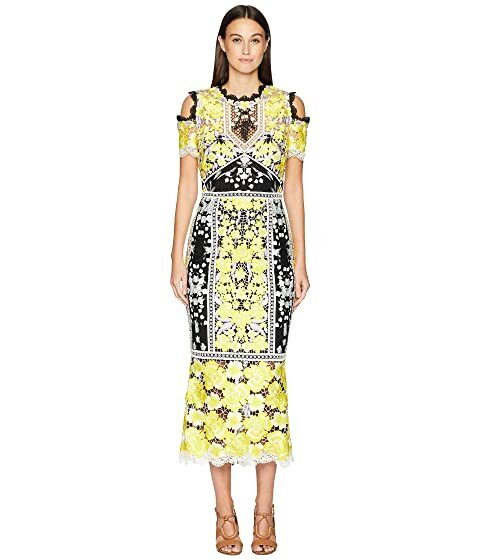 We can't currently find any similar items for the Cold Shoulder Guipure Lace Tea Length Cocktail with Trims by Marchesa Notte. Sorry!